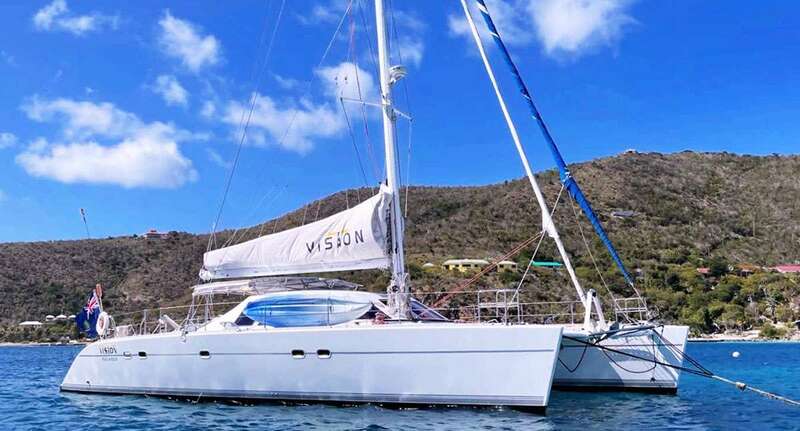 Catamaran Vision is a 1995, 57' Lagoon catamaran offering crewed yacht charters in the BVI and USVI. 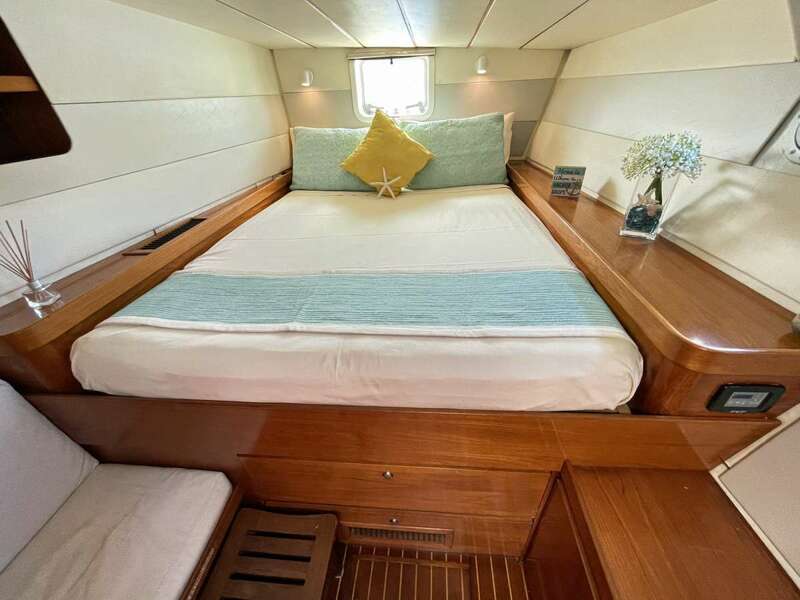 She features accommodations for up to 8 guests in 2 Queen cabins, 1 tapered Queen cabin, plus 1 upper/lower Twin cabin. 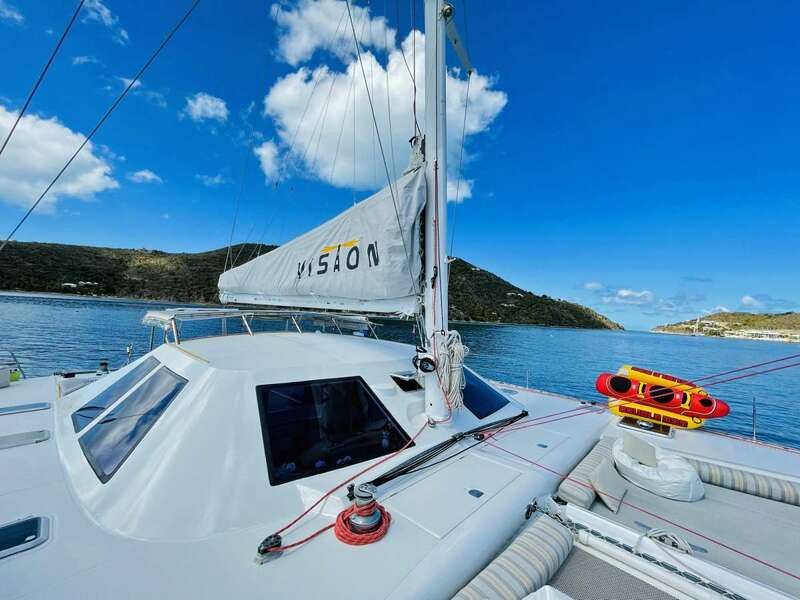 Catamaran Vision is a Carefree Yacht Charters affordable pick for families, couples or special occasions. Rates from $12,990 to $19,990. View availability and rate details. To learn more about this crew or for further details about VISION, call us in our South Florida office at (954) 980-9281, toll free at (888) 670-6884 or fill out our Quick Request Form. 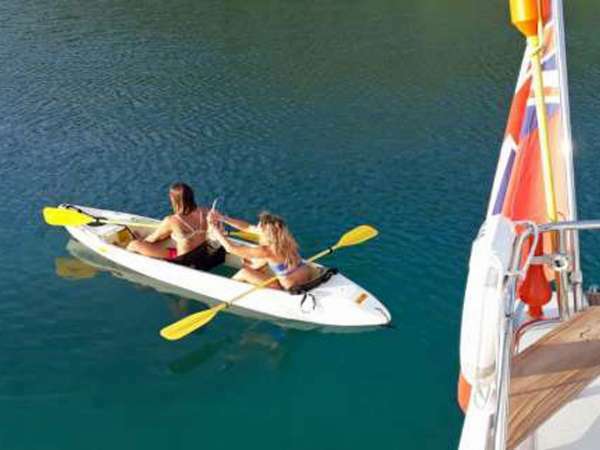 Note: Rates are based on double occupancy of cabins, i.e. 6 pax in 3 cabins. 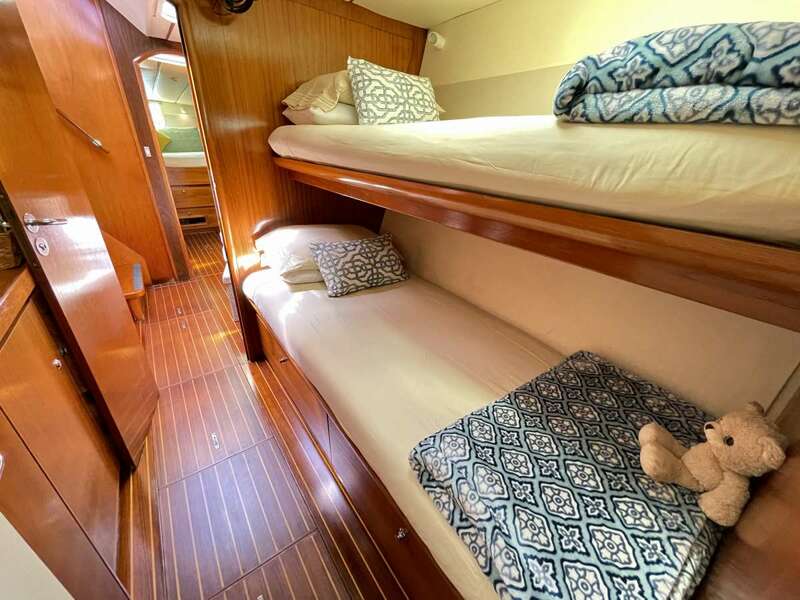 For charters 6 pax or less, extra charge applies for use of additional cabin(s). 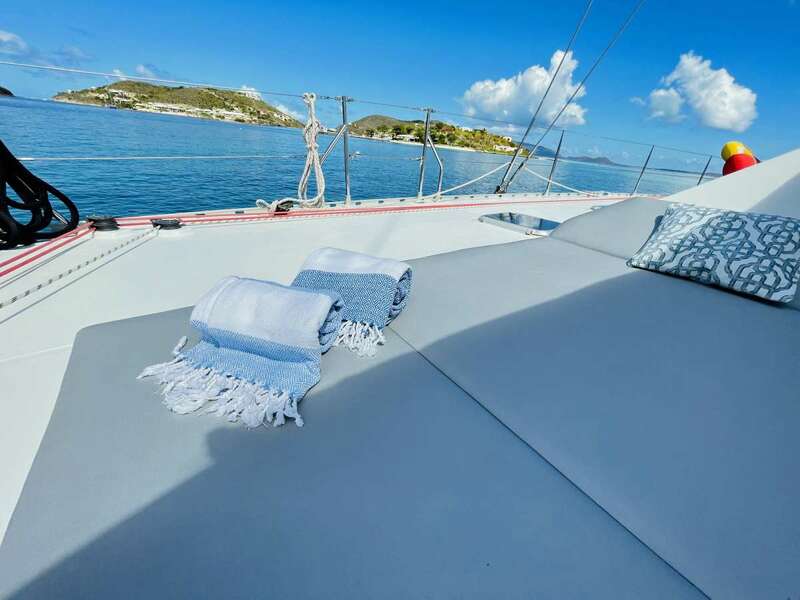 Delivery fees - return trips: SXM to Antigua - $1,000 BVI to SXM - $1,500 SXM to Grenadines - $2,500 Please inquire about delivery fees to other islands Ongoing Specials Honeymoon or Anniversary Package (2 pax only): Includes chocolates, flowers, secluded beaches, discreet service and a special gift to savor the memories. 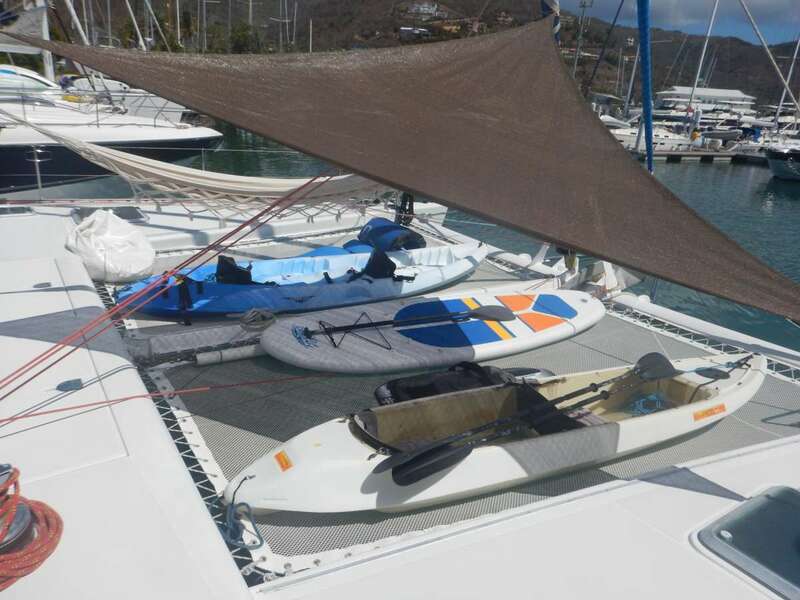 Special rate of $11,900/wk all inclusive BVI pick ups and drop offs: $700 discount Family Special: $250 off for ONE child 15 or under at the time of the charter. 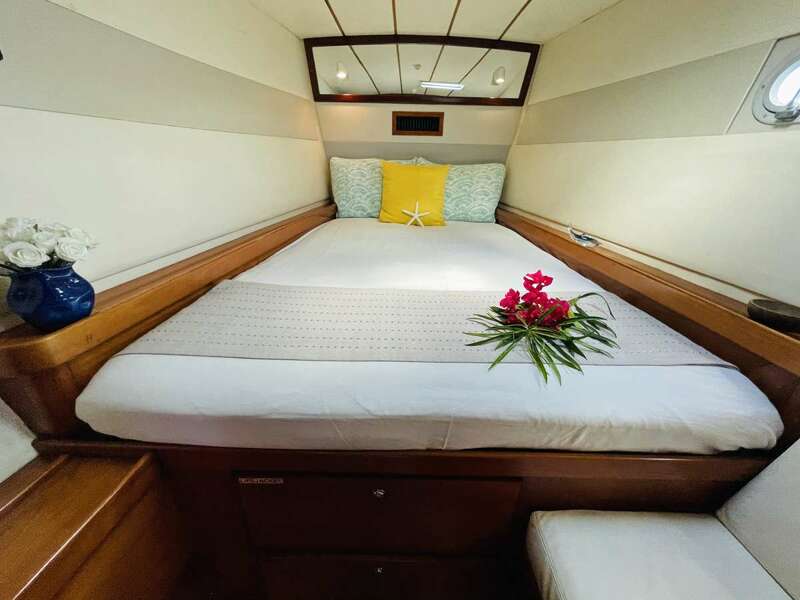 Minimum 6 night charter: $225 off Half Board rates (includes 7 breakfasts, 4 lunches and and 3 dinners and also INCLUDES standard bar) 2 pax/ $12,390 3 pax/ $13,850 4 pax/ $15,240 5 pax/ $16,240 6 pax/ $17,100 7 pax/ $18,690 8 pax/ $19,000 Minimum 6 pax rate plus 10% for Christmas Minimum 6 pax rate plus 15% for New Years Please use Vision's own Preference Sheet to be supplied when a hold is placed. Charly grew up just outside of glamorous, vibrant, Buenos Aires, Argentina. 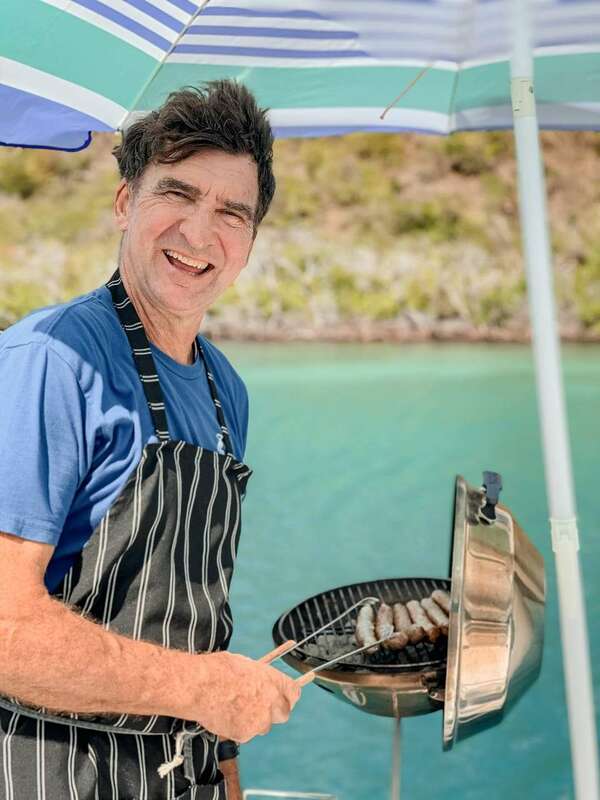 His culture of music, playing the guitar, great food, fine wine and entertaining friends, are part of what makes his charter style so special. In his early 20s, Charly completed his studies in Industrial Engineering at the University of Buenos Aires. He left the dazzle of the capital and a successful career as a musician/singer with his band, “Charly Zahr & Co." He moved to Rio de la Plata, where once he gripped a yacht helm he did not want to let go. 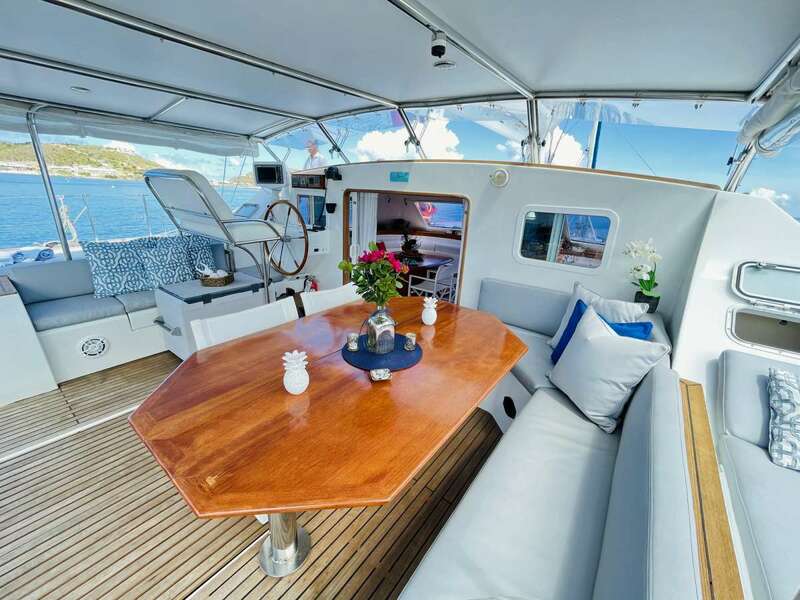 He said, “A good friend introduced me to this passion for yachting. It was as if I’d been born for this life, a dream come true! 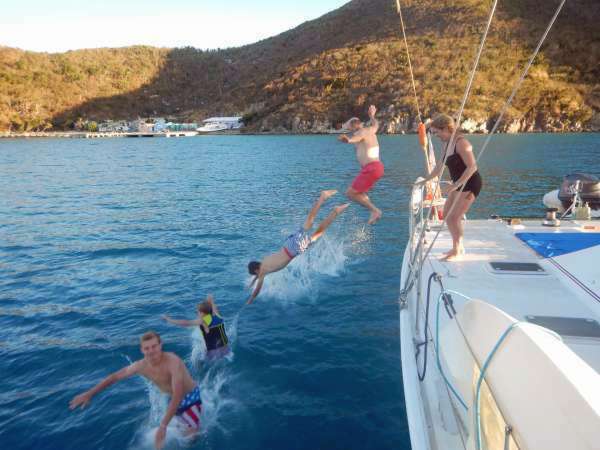 I came to the Virgin Islands on a charter yacht. Right after I arrived I met Carolina. I had found my perfect partner.” That was some 20 years ago. They have been sailing together ever since. 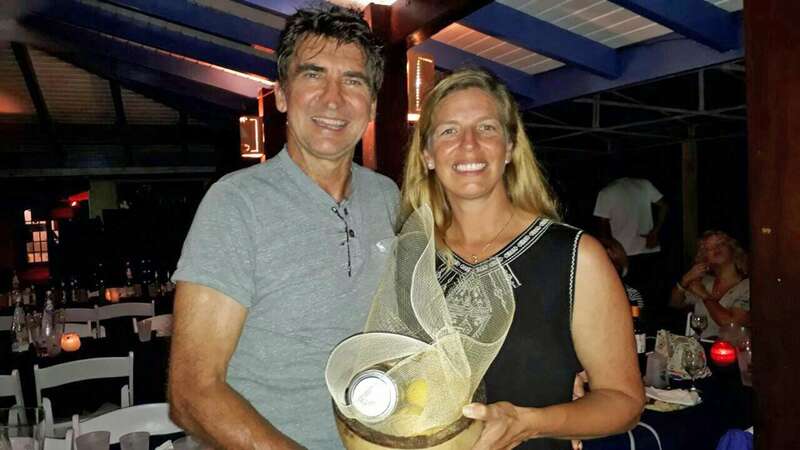 Captain Charly is an expert seaman and extremely knowledgeable about sailing throughout the Caribbean. He says it’s his favorite yachting destination. 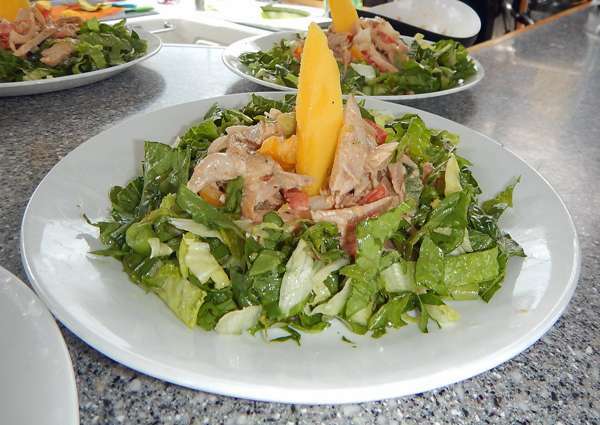 “Peaceful, crystal clear waters, steady breezes all year around, perfect temperatures and amazing fresh vegetables and fish! And the most wonderful, local people to spend time with. 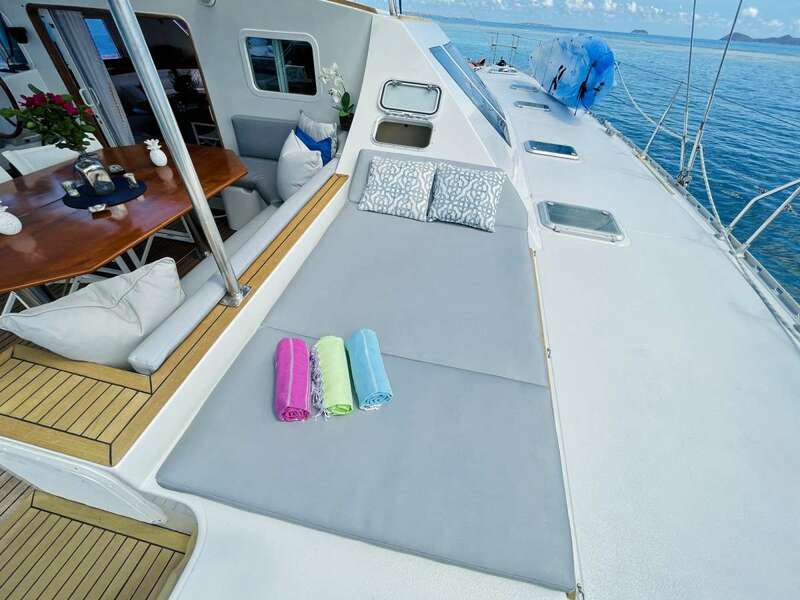 Charter guests aboard VISION experience all this and more. 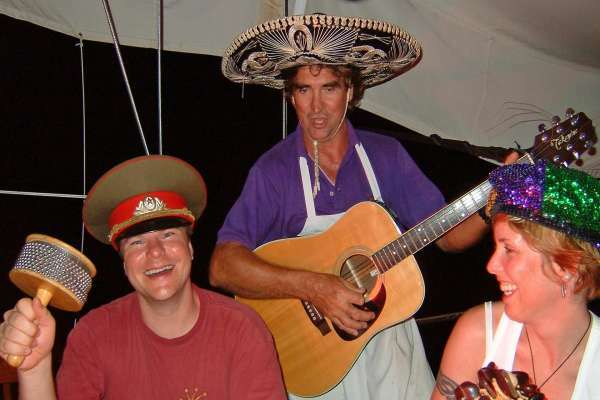 Because, although Charly commands the ship, he also has many stories to tell and songs to sing. All you need do is ask him. Charly creció a las afueras de la glamorosa y vibrante Buenos Aires, Argentina. Su cultura de la música, tocar la guitarra, buena comida, buen vino y entretener a sus amigos, son parte de lo que hace que su estilo de charter sea tan especial. En sus 20 años, Charly completó sus estudios en Ingeniería Industrial en la Universidad de Buenos Aires. Dejó el deslumbramiento de la capital y una exitosa carrera como músico / cantante con su banda, "Charly Zahr & Co." Se trasladó a Río de la Plata, donde una vez que se apoderó de un timón de yate no quería dejarlo ir. Él dijo: "Un buen amigo me presentó a esta pasión por la navegación. Fue como si hubiera nacido para esta vida, ¡un sueño hecho realidad! Llegué a las Islas Vírgenes en un yate de alquiler. Justo después de llegar, me encontré Carolina. Había encontrado a mi pareja perfecta. "Eso fue hace unos 20 años. Han estado navegando juntos desde entonces. El capitán Charly es un marinero experto y conoce mucho sobre la navegación por el Caribe. Él dice que es su destino de yate favorito. 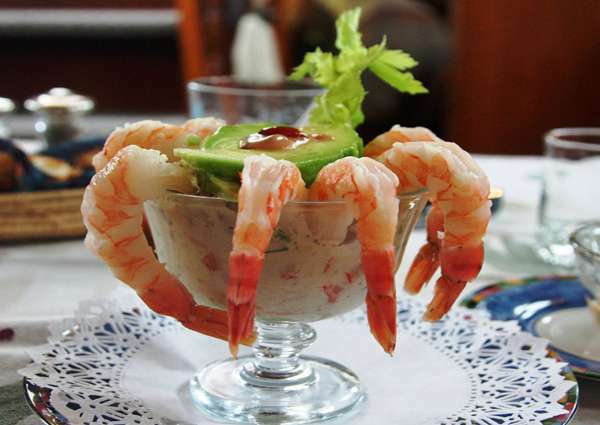 "Aguas tranquilas y cristalinas, brisas constantes durante todo el año, temperaturas perfectas e increíbles verduras frescas y pescado! Y las personas más maravillosas y locales con quienes pasar el tiempo. 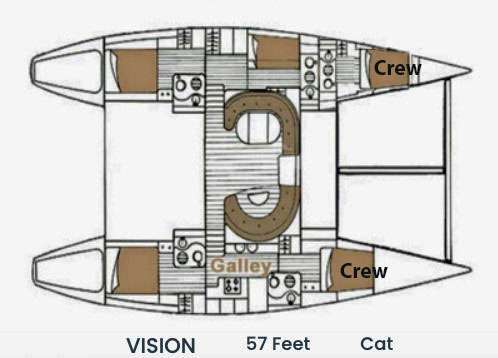 Los huéspedes de charter a bordo de VISION experimentan todo esto y más. 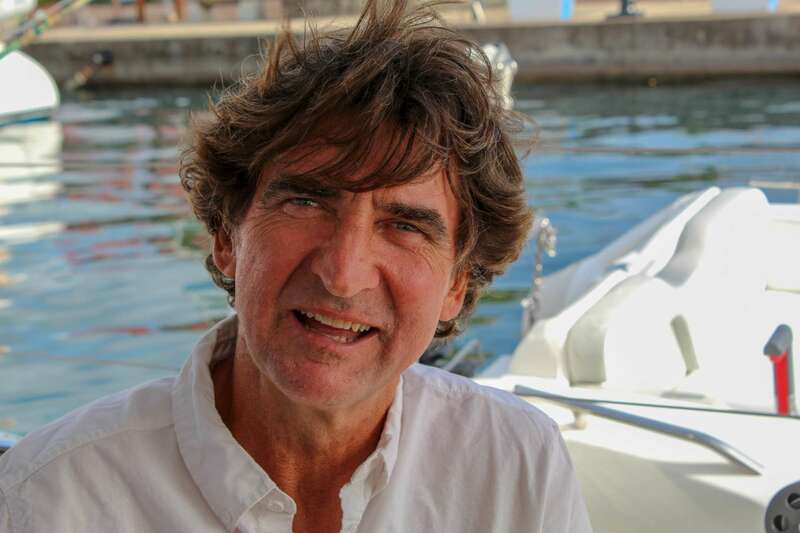 Porque, aunque Charly comanda el barco, también tiene muchas historias que contar y canciones para cantar. Todo lo que necesitas hacer es preguntarle. Caro and two younger siblings grew up in the beautiful bustle of Buenos Aires. During the summer, the family traded city life for country life on their ranch. Caro rode horses through a pastoral landscape, enjoying the animals and the beauty of nature. She was always surrounded by many friends, so it was little surprise when she pursued a degree in Public Relations at Universidad Argentina John F. Kennedy. However, when she fell in love, plans changed. 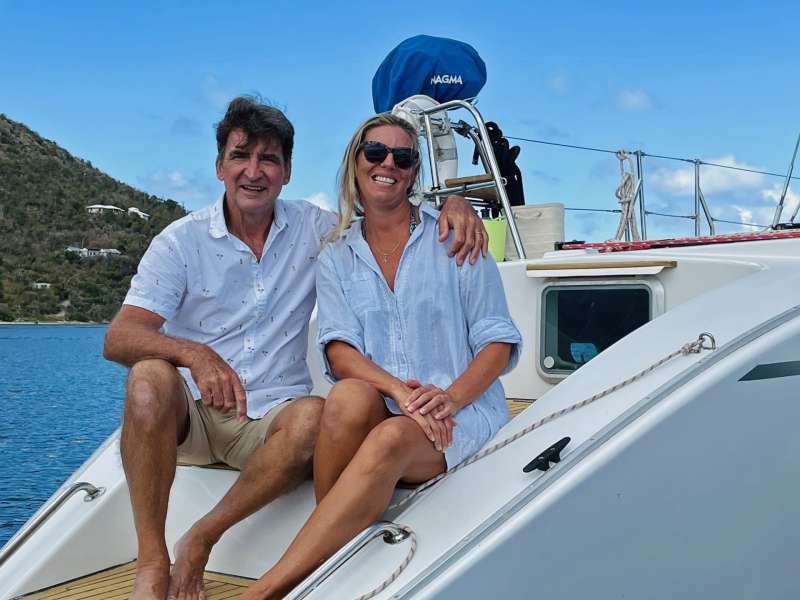 Caro met Charly, and together they launched a career in yachting. The two became licensed captains in Argentina and sailed the world’s oceans. 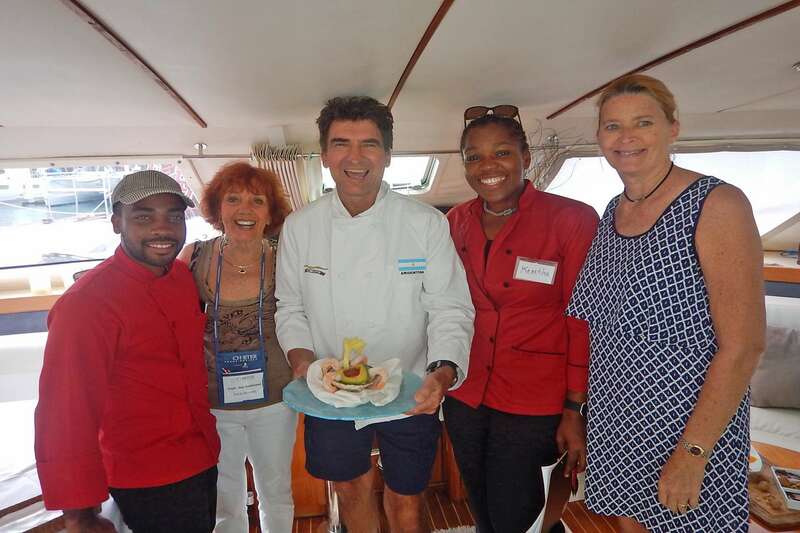 Caro continued taking courses to further her career as a yacht chef, including pastries and breads and sommelier. 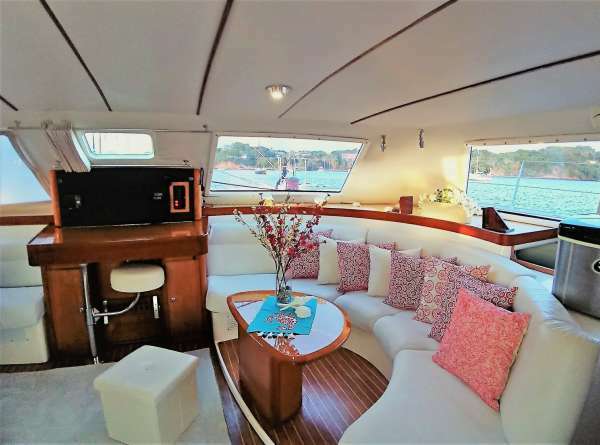 She had an exciting position as chef/hostess on a Farr 80’, exploring most of the European and Turkish coasts. 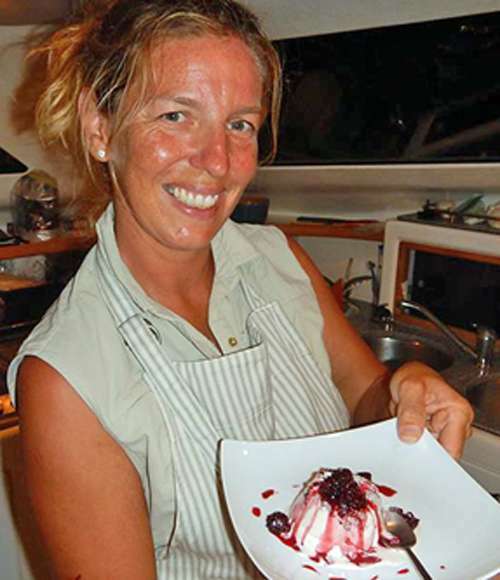 She also worked on yachts as pastry chef and first mate. 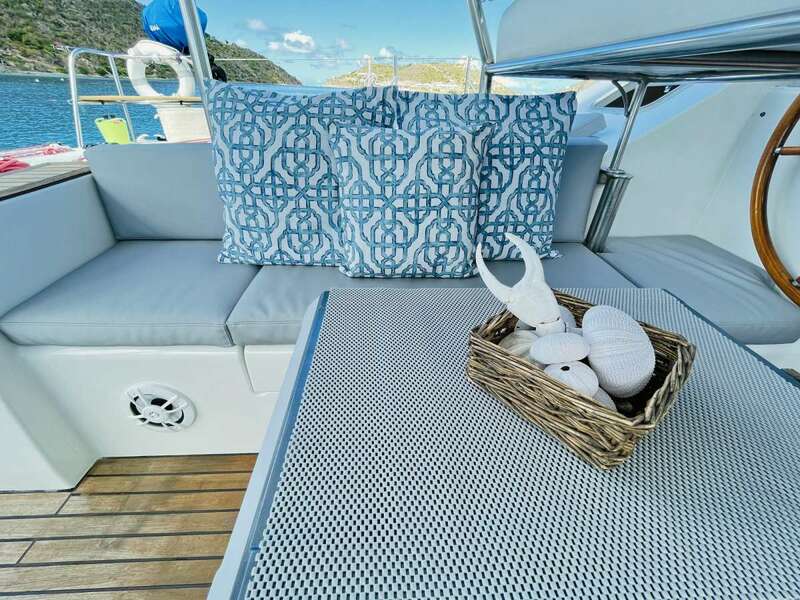 Since 1999, she has owned a 62' classic yacht, operating long term and day charters throughout the Caribbean. 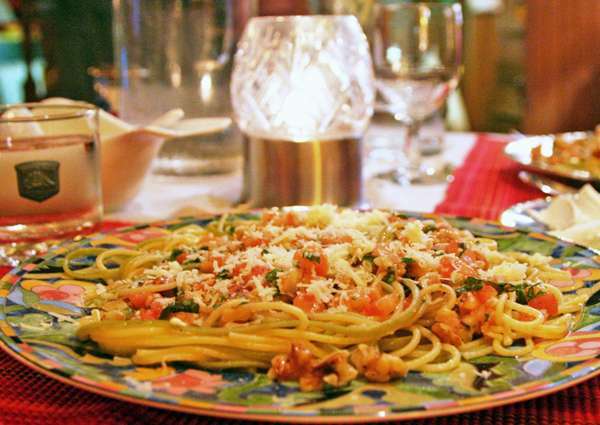 Caro excels at preparing Argentinian dishes from recipes handed down through generations, like homemade Chimichurri. 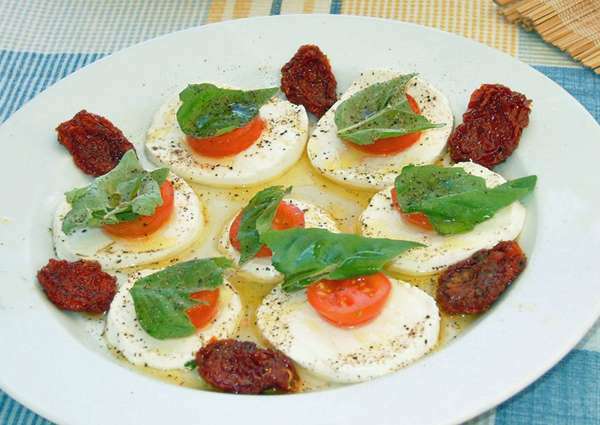 She also has a repertoire of European dishes. Her pastries and breads are irresistible. 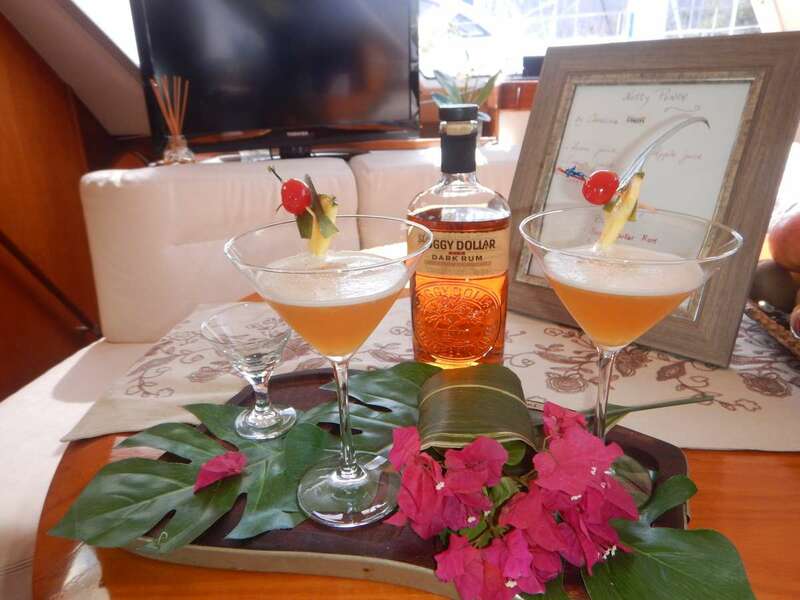 She says, “Guests rave most about my 70% cocoa chocolate mousse, and my dulce de leche mousse, with ingredients we bring from Argentina!” Guests aboard VISION not only eat well, they are pampered. 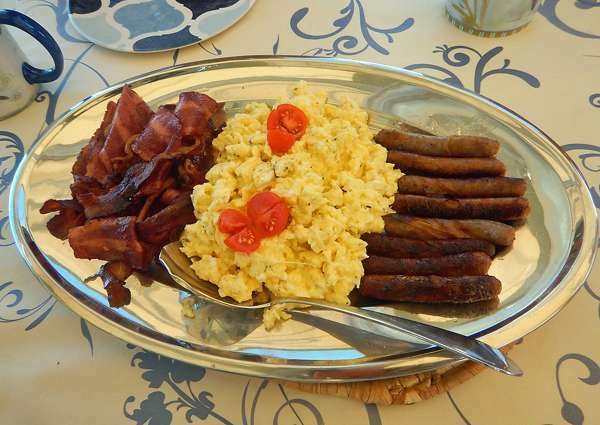 Caro is trained in Silver Service and knows how to be discreet for those guests that value privacy. However, she prefers an interactive charter. 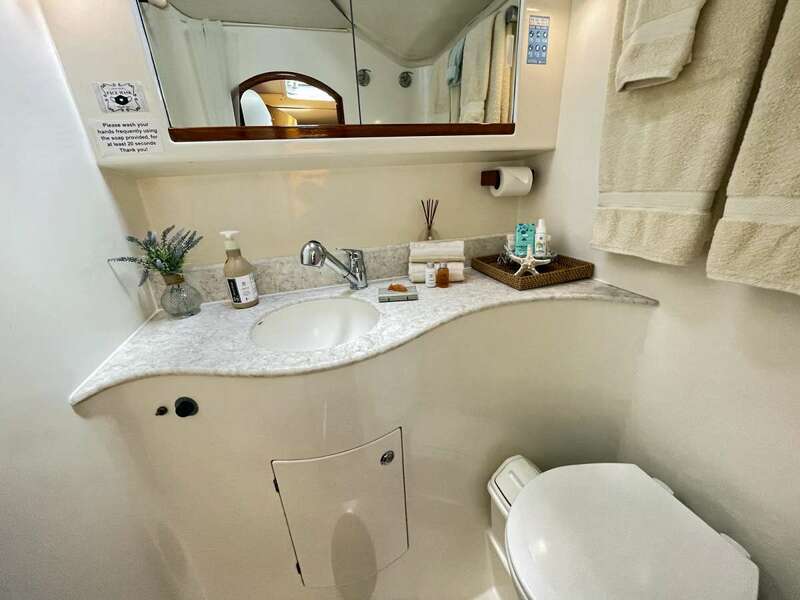 She says, “I try to show the beauty of this lifestyle to our guests and make their stay a truly amazing life experience!” Step aboard to encounter an unforgettable VISION! Caro y dos hermanos menores crecieron en el hermoso bullicio de Buenos Aires. Durante el verano, la familia cambió la vida de la ciudad por la vida en el campo en su rancho. Caro montó caballos a través de un paisaje pastoral, disfrutando de los animales y la belleza de la naturaleza. Ella siempre estuvo rodeada de muchos amigos, así que no fue una sorpresa cuando obtuvo un título en Relaciones Públicas en la Universidad Argentina John F. Kennedy. Sin embargo, cuando ella se enamoró, los planes cambiaron. Caro conoció a Charly, y juntos lanzaron una carrera en yates. Los dos se convirtieron en capitanes con licencia en Argentina y navegaron los océanos del mundo. Caro continuó tomando cursos para continuar su carrera como chef de yates, incluyendo pasteles, panes y sumiller. Ella tenía una posición emocionante como chef / anfitriona en un Farr 80 ', explorando la mayoría de las costas europeas y turcas. Ella también trabajó en yates como pastelero y primer oficial. Desde 1999, ha sido propietaria de un yate clásico de 62 pies, operando charters a largo plazo y por todo el Caribe. 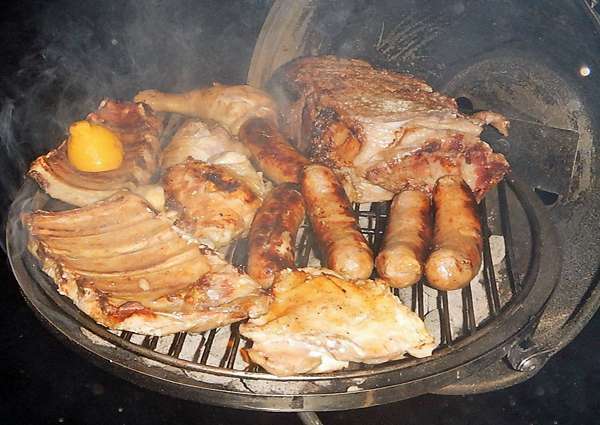 Caro se destaca en la preparación de platos argentinos a partir de recetas transmitidas de generación en generación, como el Chimichurri casero. Ella también tiene un repertorio de platos europeos. 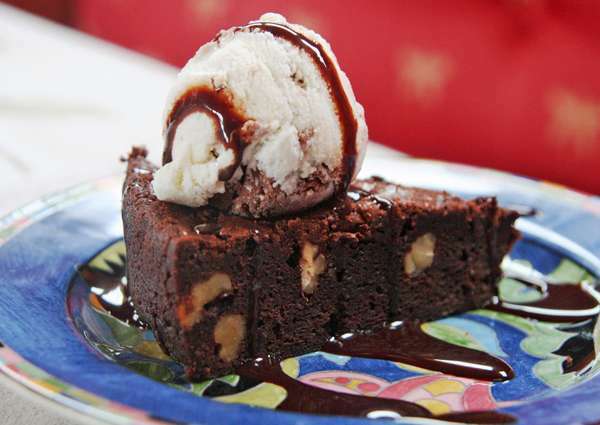 Sus pasteles y panes son irresistibles. Ella dice: "¡Los clientes deliran sobre mi mousse de chocolate con cocoa al 70% y mi mousse de dulce de leche con ingredientes que traemos de Argentina!" Los huéspedes a bordo de VISION no solo comen bien, sino que también son mimados. Caro está entrenada en Silver Service y sabe cómo ser discreta para aquellos huéspedes que valoran la privacidad. Sin embargo, ella prefiere una carta interactiva. Ella dice: "¡Intento mostrar la belleza de este estilo de vida a nuestros huéspedes y hacer que su estadía sea una experiencia de vida realmente increíble!" ¡Suba a bordo para encontrar una VISIÓN inolvidable! 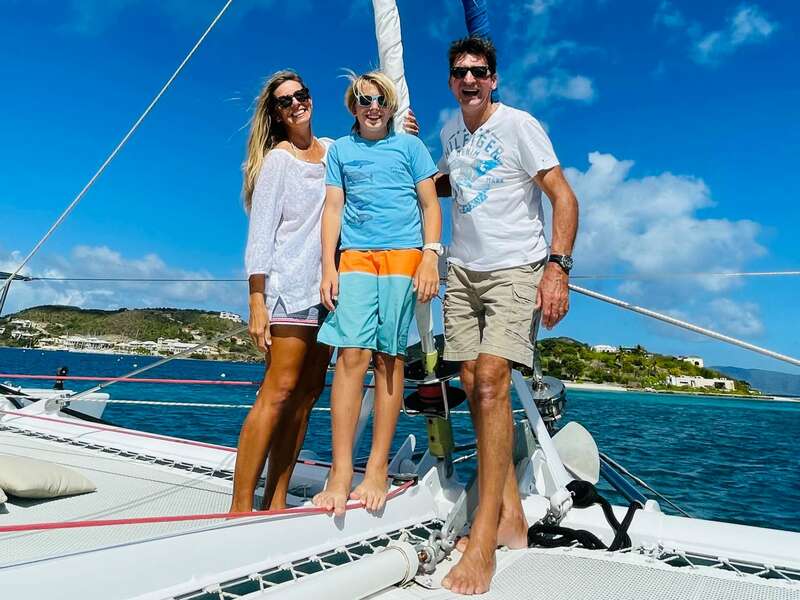 Charly and Carolina have an adorable young son Valentin, who is a great sailor and deckhand. 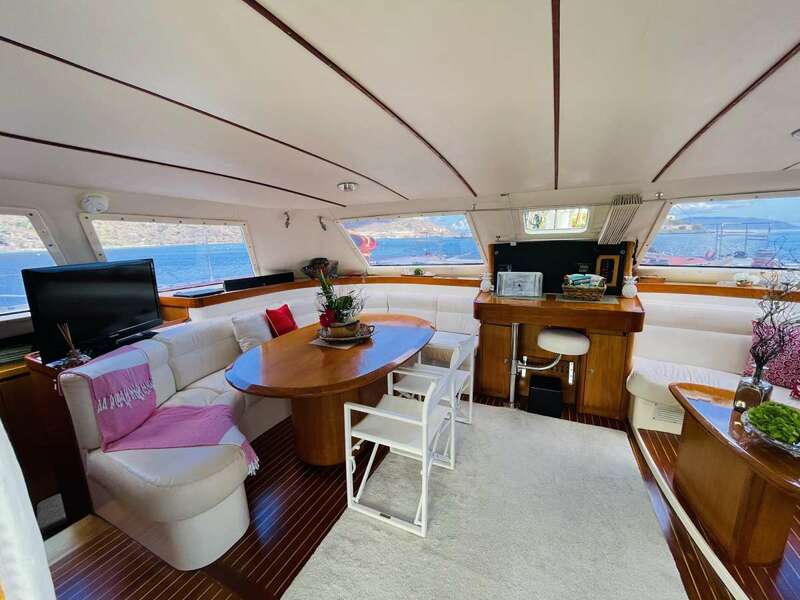 He will not be on board for charters unless it is a family charter and the guests invite him to join the charter. Nine year old Valentin can serve as the 3rd crew member, at the clients discretion. 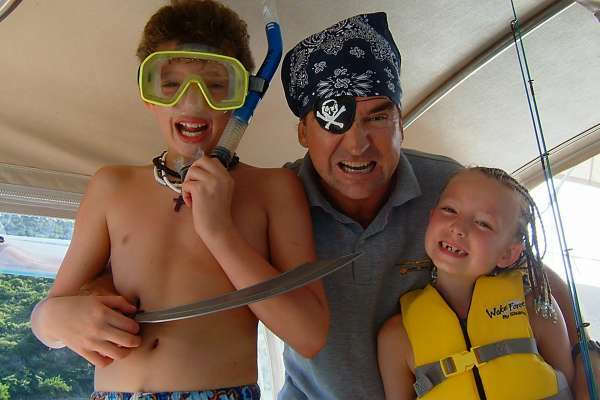 He's great with families and kids and helps out with snorkeling, sailing, and other chores around the boat. 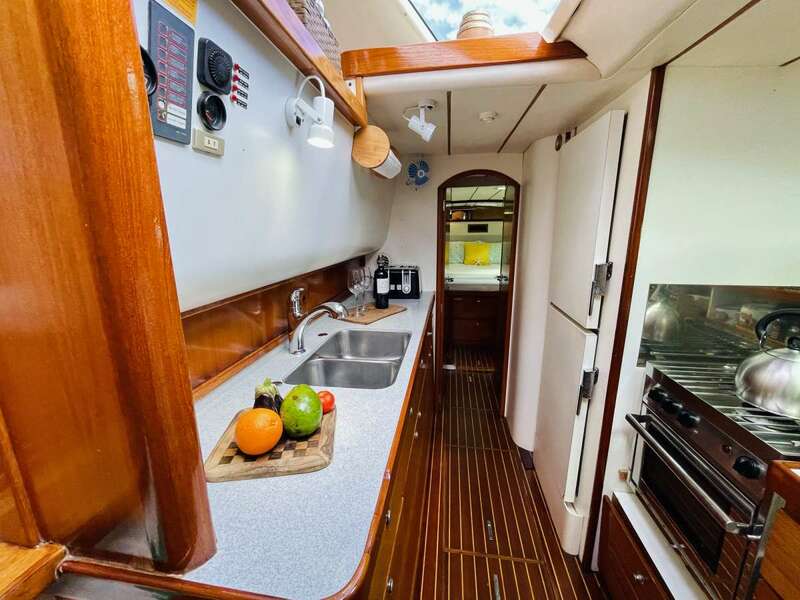 Queen-Stern Starboard, with en-suite, Electric toilet, separate shower, AC and fans. USB charger for phones &amp; iPads in each cabin. 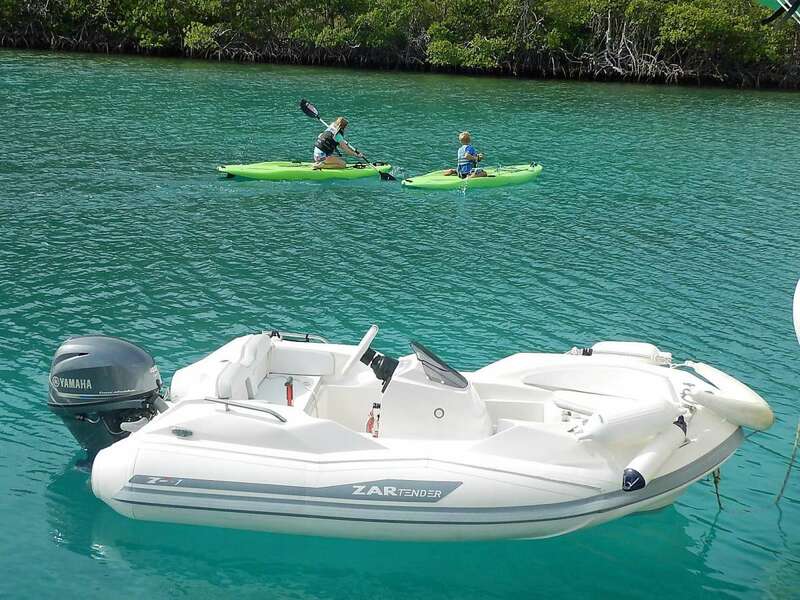 Dinghy: 2019 - 14' Zar Formenti dinghy 50 HP outboard. Fresh Croissants with Mozzarella cheese and ham with aromatic, fresh grind, 3 pepper spices mix.